The Tao is a very intimate element of balancing. 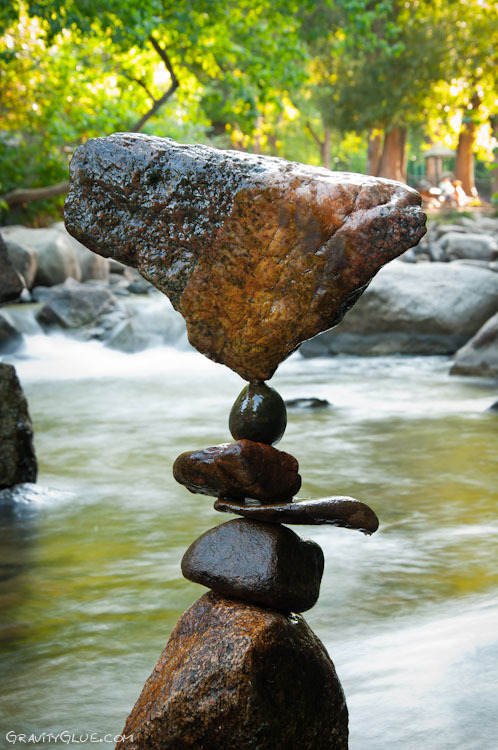 There is a strong sense of oneness at that moment when all rocks “click” into equilibrium. “Empty yet inexhaustible.” There is a very enchanting story i heard from a good friend in Italy recently. The story (perhaps swedish in origin..??) involved a girl who insisted on experiencing the inner beauty of the rocks. She was told that each rock was filled with endless passageways and enchanted rooms of immense proportion and beauty. She tried and tried, and begged the rocks to let her enter to experience their paradise. But she was denied. My italian friend went on to explain that balancing the rocks is special way of experiencing the kingdom within each rock. by feeling the rocks andaligning them gravitationally, the threads had a way of revealing all that is to the balancer. The balancer was eventually granted access to the infinite realm inside, and would be forever changed.. I do not remember the story in great detail but my account covers the rought point of Gabrielle’s (the italian) lesson. 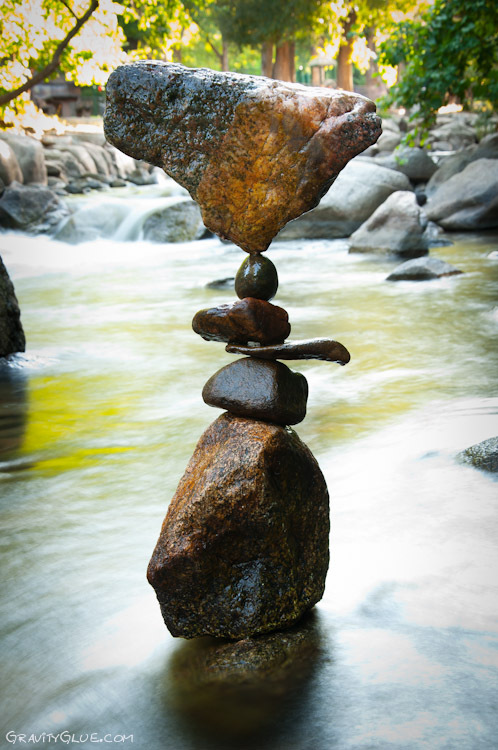 Being… the activity of balancing rocks has a way of revealing deeper truths to the balancer about self and existence. The ‘zero point’ when balance can be felt through all of the disconnected parts simultaneously is essentially a glimpse of the Tao. The top rock in this balance captivated my attention. It was such a beautiful color and mixture of textures. Site looks amazing & your 2012 portfolio is jedi quality! Keep up the good work my friend!